If you want your WordPress site to be a success, it all starts with hosting. Your host provides the foundation for your site and affects how quickly it loads, how reliably it’s available to visitors, and how secure it is from hackers. Because hosting is so important to making a WordPress site hum (which is what we love doing! 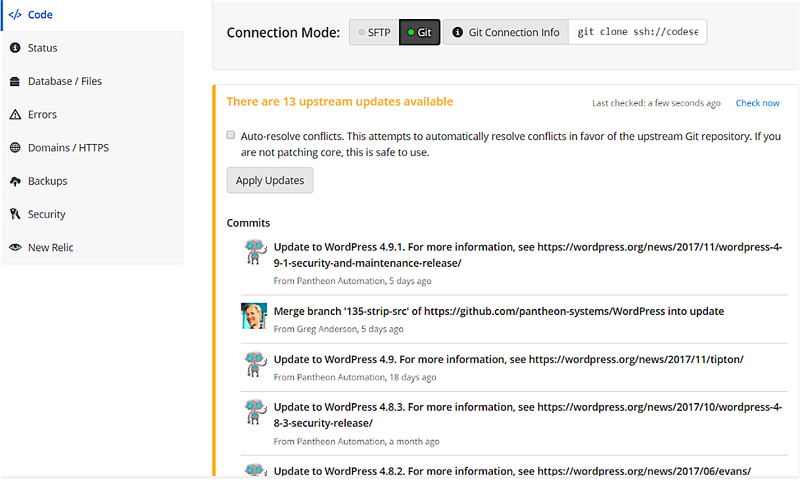 ), we decided to dedicate an entire post to our two recommended WordPress hosts. While we might work mostly with enterprise clients (and offer hosting recommendations to suit enterprise needs), we’ll also share our recommendation for a more general-purpose WordPress host that’s affordable and works for smaller WordPress sites. If you’re running an enterprise site or an otherwise mission-critical website, we recommend Pantheon because of its performance, reliability, and enterprise-focused features. You probably don’t need us to tell you how important page load times are for your site. The data is out – page load times affect everything from user experience to conversion rates and SEO. Security is important for any WordPress site. But when you’re running a mission-critical website, it’s more than just “important” – it’s an imperative that can have a drastic effect on your bottom line if not done right. First, Pantheon offers a fully-integrated CDN provider that offers DDoS protection and web application firewall-style rules. Beyond that, Pantheon uses isolated containers so that there’s no chance a single website vulnerability can affect other sites on the platform. Nowadays, most managed WordPress hosts offer staging servers so that you can easily test changes before pushing them to your production site. Pantheon does as well – but adds a couple of twists. First, Pantheon sites come with three identical environments by default – Dev, Test, Live. 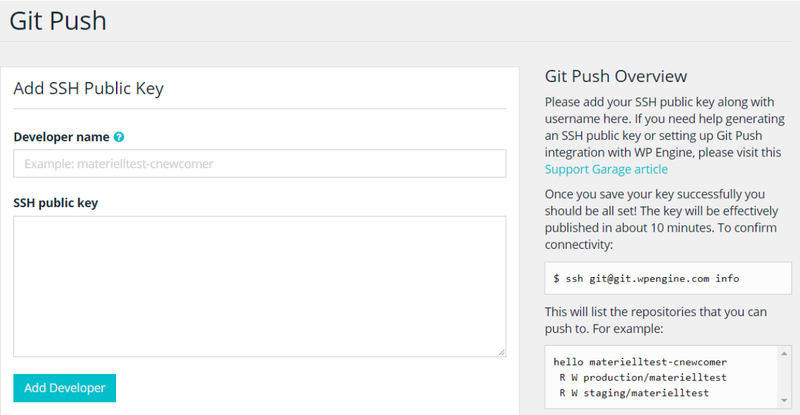 And because Pantheon offers role-based access, you can easily only grant a developer access to specific environments. Any changes that you make in a development environment are automatically tracked by the Pantheon dashboard and can be instantly turned into a git commit without the need to open a terminal. Just like security, uptime is important for all sites…but doubly so for mission-critical sites. To help ensure your site’s uptime, Pantheon has a few tricks up its sleeve. First, Pantheon offers automated site monitoring so that you can easily monitor your site’s uptime. And Pantheon’s technology also allows for easy scaling, which lessens the chance that going “viral” can tank your site. But beyond those helpful features, Pantheon is also completely transparent about uptime, which is refreshing in an industry filled with bold, but unbacked, uptime claims. Pantheon’s Elite plan also offers 99.9% uptime backed by a Service Level Agreement (SLA). If you’re interested in learning more about what draws large organizations like these to Pantheon, click here to fill out our quick form and we’d be happy to chat with you about why we recommend Pantheon. While Pantheon does offer a single budget plan at $25 per month, if you don’t need the enterprise-focused features of Pantheon (like versioning and access control), WP Engine often provides a better solution for less mission-critical WordPress sites. As you saw in the Pantheon section above, in pure site speed terms, WP Engine sites might not load as quickly as Pantheon. That’s, in part, because WP Engine uses a shared environment for its lower-tier plans. PHP 7.X – offers significant improvements over PHP 5.X. Easy Amazon S3 integration – helps offload data storage to Amazon’s network. EverCache – WP Engine’s proprietary caching technology. Global CDN integration – included for free except for the lowest tier plan. 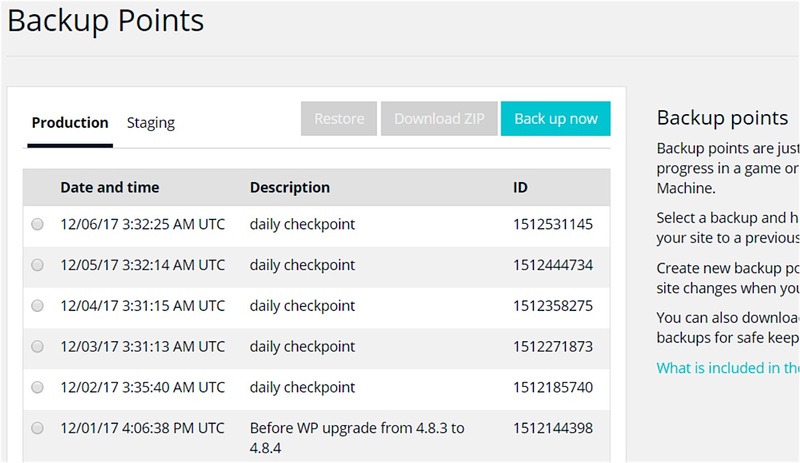 Like Pantheon, WP Engine works proactively to keep your WordPress site safe and secure. Free Let’s Encrypt SSL certificate – helps secure data transmission between your server and your visitors. Disk write protection and limitations – limits the damage that a malicious theme or plugin vulnerability can cause. Web application firewall – contains WordPress-specific rules to protect against malicious actors. Beyond that, WP Engine also contracts a third-party service to perform penetration testing to catch potential issues. As we discussed in the Pantheon review, staging gives you a chance to safely test changes or updates without any risk to your live website. WP Engine offers easy staging right from your WordPress dashboard. This staging functionality essentially creates a clone of your website that you can modify as needed. WP Engine guarantees 99.95% uptime in its Service Level Agreement (SLA), which is actually higher than Pantheon’s 99.9% SLA guarantee (especially when you consider that Pantheon’s guarantee only applies to its Elite plan). With that being said, Pantheon’s real-life uptime hovers more around 99.97%. As far as uptime goes, 99.95% is about as good as you’ll get for the price. If you’re interested in why 100% uptime isn’t an attainable goal, WP Engine has a great post on the subject. No matter what your budget and needs, one of these two WordPress hosts should offer a great solution. If you’re interested in enterprise or otherwise mission-critical hosting, Pantheon is your best bet because, in addition to rock-solid performance, security, and uptime, it also offers features like integrated version control and access controls to make your workflows simpler and more robust. For less critical uses, we recommend WP Engine because it offers almost-equally solid performance, as well as uptime and security, for a more affordable price. While you can certainly find cheaper WordPress hosting than both of these solutions, paying a little bit more for reliability and functionality is a much better long-term plan if you’re invested in the success of your website. Launching your WordPress site is always exciting. You get to watch all that hard work and planning transform into a tangible asset that the world can enjoy. It’s awesome – congratulations! But here’s the deal: Your job isn’t done just because your site is out and in the wild. Not by a longshot.